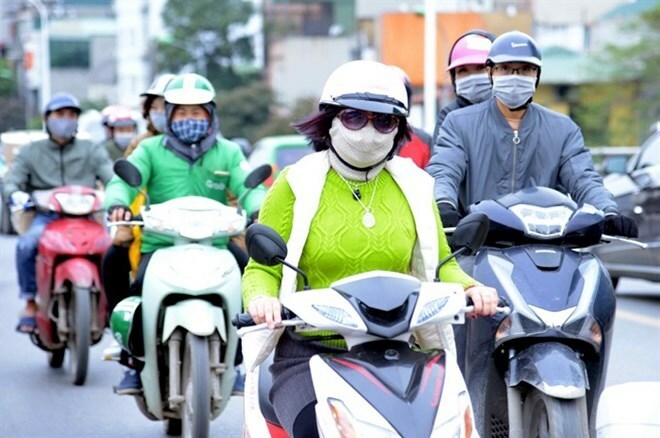 Hanoi (VNA) – The Green Innovation and Development Centre (GreenID) and the Research and Training Centre for Community Development (RTCCD) has co-organised a seminar on air pollution and community health in Hanoi. The March 30 seminar was a direct dialogue with doctors and experts on the issue, particularly the impact of bad air on children. It introduced scientific knowledge on the matter and solutions for family health protection to participants. Speaking at the event, vice director of the RTCCD Nguyen Trong An said Vietnam’s air quality is now at an alarming level, adversely affecting local well-being. The PM2.5 level, which refers to tiny dust particles that are about 30 times smaller than a human hair, is also high. These particles, which can remain longer and spread farther in the air than normal dust, can travel deep into the lungs and the blood. The latest air pollution data compiled in the 2018 World Air Quality Report ranks Hanoi and Ho Chi Minh City as the 2nd and 15th most polluted cities in Southeast Asia, and the 209th and 455th worldwide, respectively. An advised each individual and family to participate in reducing the emission of polluting fumes, such as those from burning incence, and votive paper, and cooking using braziers. He recommended the use of natural cleaning products and renewable energy, as well as tree planting around living spaces.